QUEEN’S PARK — Mickael Fenn and Ken Seiling, the province’s point men on the new regional governance review, will be in Muskoka on Tuesday, May 14, to listen to presentations from local individuals and organizations. MPP Norm Miller will welcome Mickael Fenn and Ken Seiling to Muskoka Tuesday May 14. Details to be announced. 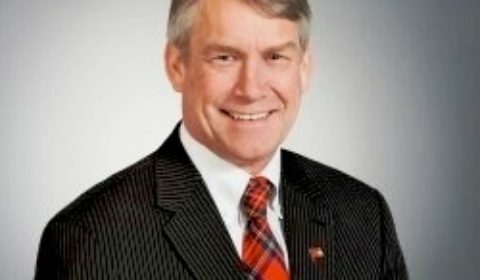 MPP Norm Miller is reminding his constituents about their opportunity for local input on how to improve governance, decision-making and service delivery in regional municipalities including the District of Muskoka. Today, he said in a news release, the Minister of Municipal Affairs and Housing Steve Clark announced that starting on April 3, those who live or work in one of the review areas can register online to make a presentation to Special Advisors Fenn and Seiling. He said that on Jan. 15, Clark appointed Michael Fenn and Ken Seiling as Special Advisors to lead a review of regional government in Ontario. The review includes Ontario’s eight regional municipalities (Halton, York, Durham, Waterloo, Niagara, Peel, Muskoka District, and Oxford County), the County of Simcoe, and their lower-tier municipalities. Online registration opens on April 3, 2019. More details are available atwww.Ontario.ca/regionalgovernment. Meetings will be held in the eight regional municipalities covered by the review (Halton, York, Durham, Waterloo, Niagara, Peel, Muskoka District, and Oxford County) and in Simcoe County.Individuals can also submit their comments through the online survey, which is open until May 21, 2019. Fenn has been an Ontario deputy minister under three premiers, and a municipal chief administrator in Hamilton and Burlington and is the founding CEO of the regional transportation authority Metrolinx. Ken Seiling was first elected as the Chair of Waterloo Region in 1985. He retired from this role on Nov. 30, 2018.